At last! After searching for a couple of years, I have a source of great quality sloes. Last year I was disappointed because my quest had failed, and I had to resort to producing batches of Plum Gin & Plum Vodka instead. 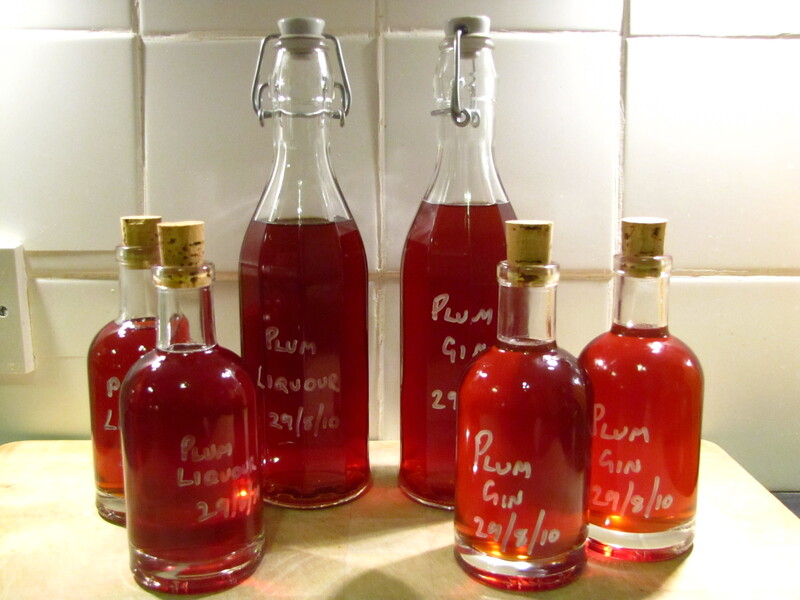 I shouldn’t have been concerned – this turned out to be a great experiment which produced the best liqueurs of the year, and something which I’m now making every year to come! Anyway, my quest started again early in the season, looking out for Blackthorn blossom on those chilli spring mornings. Sloes are the fruit of the blackthorn tree, and blackthorn flowers very early in the season, on bushes before they’ve started even to leaf. Consequently they are very easy to spot in the spring – you’ve just got to remember where they were when it comes to pick the berries! It is said that Sloes should be picked after the first frost. This is to ensure that they have the best flavour, however it presents a number of problems, specifically that the birds, and other people looking to make their own Sloe Gin will already have got in there and stripped the bush. I waited until early September before my first picking. Having monitored the fruit since mid August, it was clear that they were nicely mature, so I took of just as many as I needed. Strain the mixture through a muslin and check the sweetness – bottle up and add extra sugar if required. The sugar is entirely for sweetness, so I don’t see why not. But not something I’ve tried!